The trip to France will be on July 22, according to press reports. Still no official confirmation of the Foreign Ministry. 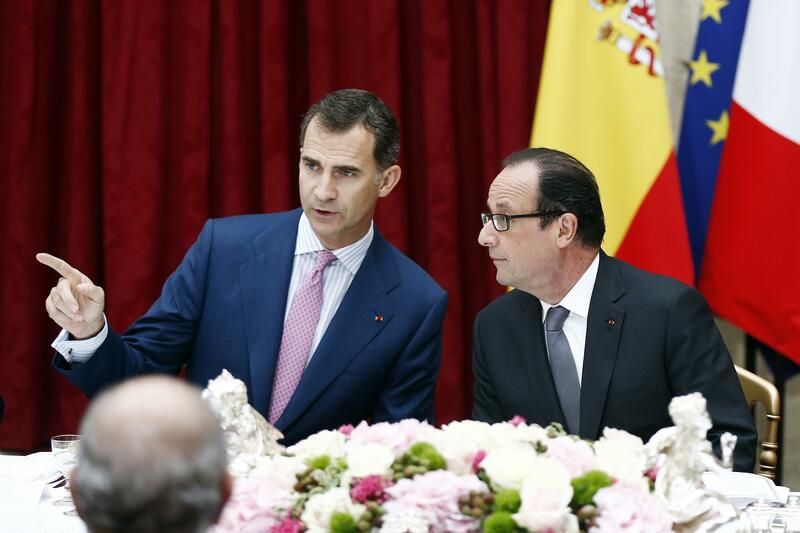 Their Majesties will make ​​an official trip to France, on July 22, hosted by the President of France, François Hollande. 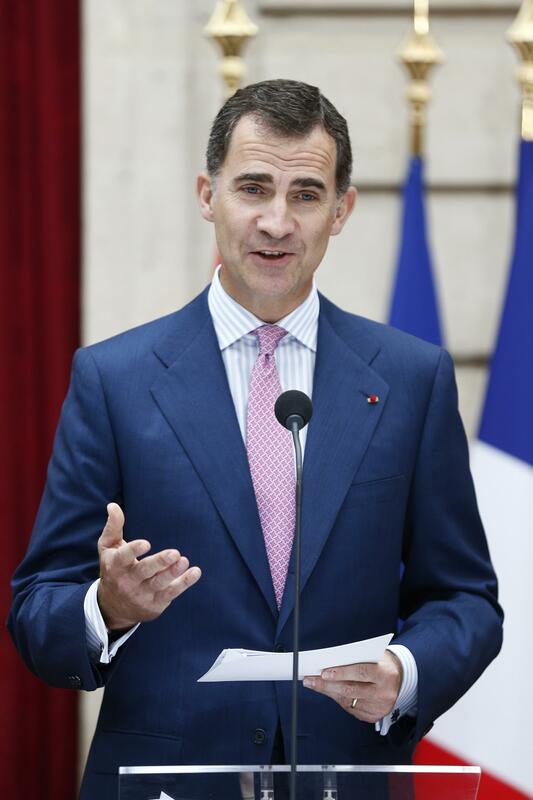 Their Majesties will be received by President of the National Assembly, Claude Bartolone, Senate President, Jean-Pierre Bel, and Prime Minister, Manuel Valls. The meeting with the president is at 12.00. 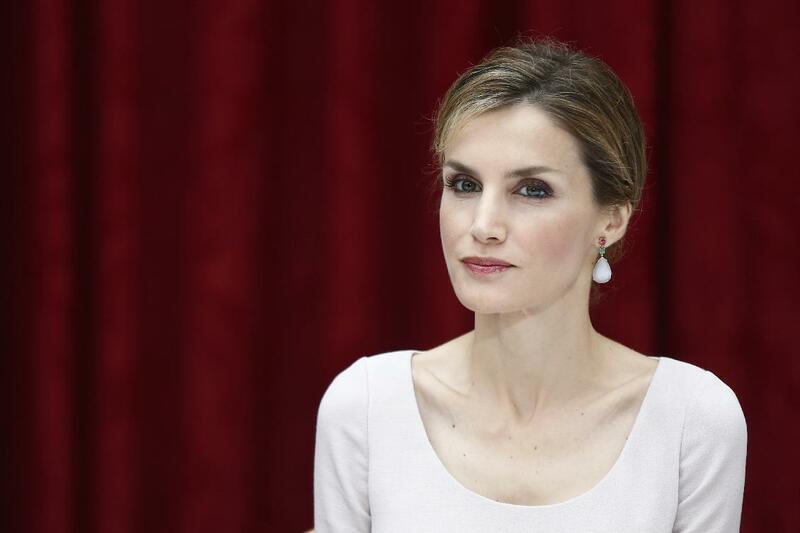 Too bad that Hollande got messed up in a love triangle and there is no first lady as a counterpart for Letizia. Yes thats a pity but nevertheless the focus will be on Letizia and not a first lady. I am surprised that Felipe's french is quite wobbly, at least he doesnt sound like a regular speaker. I always was under the impression that the SRF spoke french, JC and Sofia to each other and possibly with their children (similar to QEII and DoE) but I may be wrong. 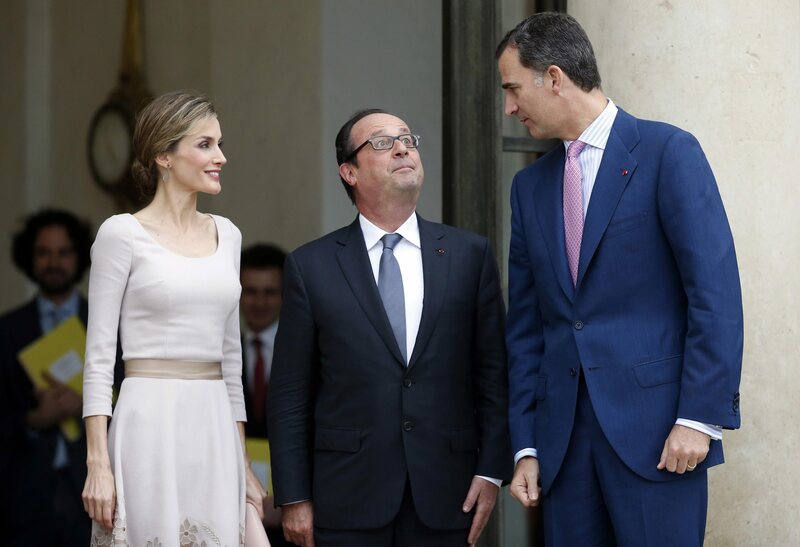 According to TVE's correspondant in Paris, President Hollande has invited KF and QL to pay a State Visit to France on Spring. 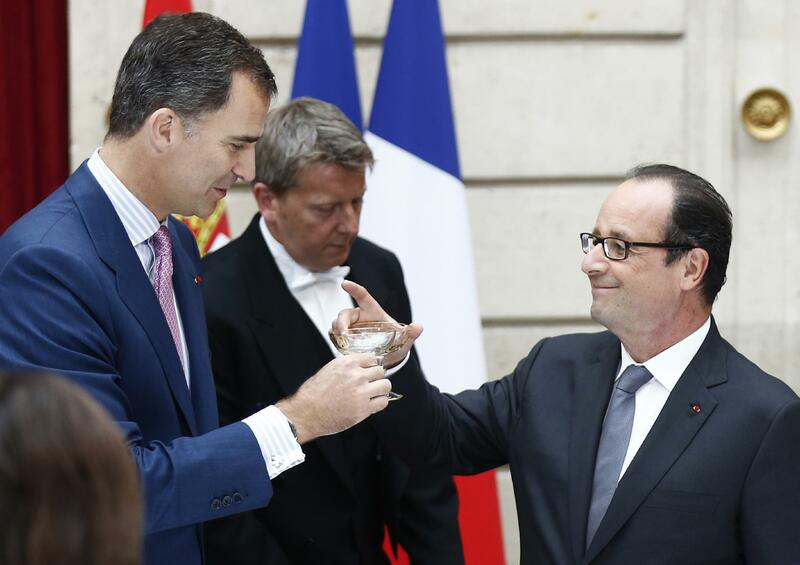 How, I wonder is Pres Hollande's Spanish ??? Duke,I find his french good. He has an accent but that's not a problem.Queen Elisabeth who is fluent in french has an accent too.An example of a bad speaker in french is the Duke of Cambridge. You can't expect a foreigner to speak a language like a born speaker especially since French is a difficult language to learn.Imo,accent is secondary. For example,it's a real pleasure for me to hear africans from our french colonies speaking french.Although they have an accent,they tend to use a vocabulary and a grammar that many of my co citizens are unable to use nowadays. Many here , have been shocked to hear one of our former president use the "on n'a pas" instead of the more formal "nous n'avons pas"
Wyevale,I don't think François Hollande speaks spanish.He speaks english though. 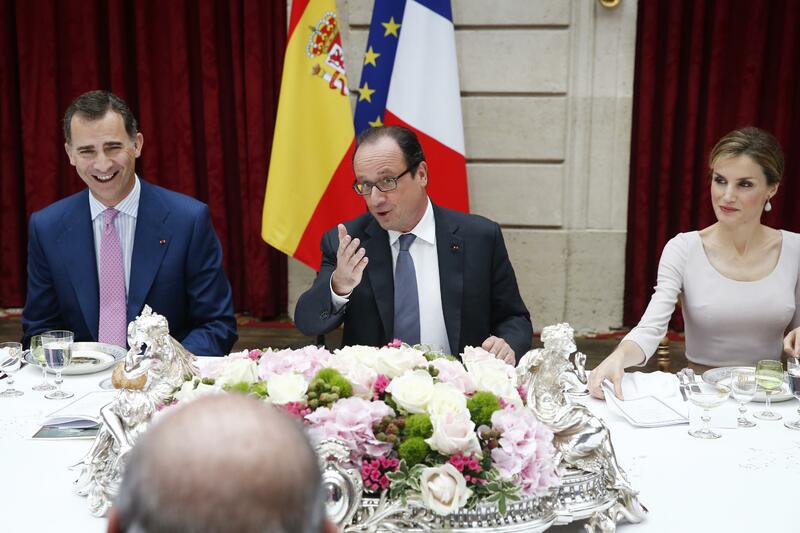 But what a relief there's no Sarkozy anymore and silly comparisons between Letizia & Carla Bruni! The meeting was quite interesting to watch. The atmosphere seemed to be very warm and friendly. 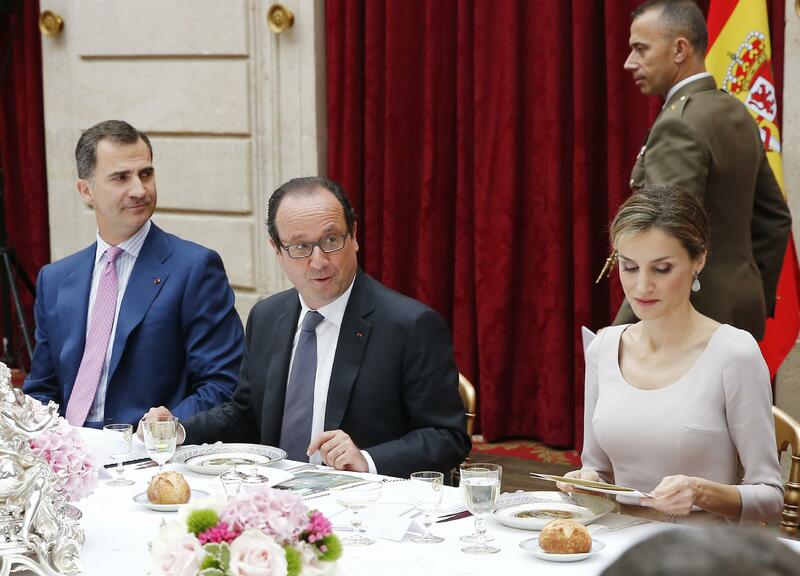 Let's see if Hollande invites them to his August wedding!